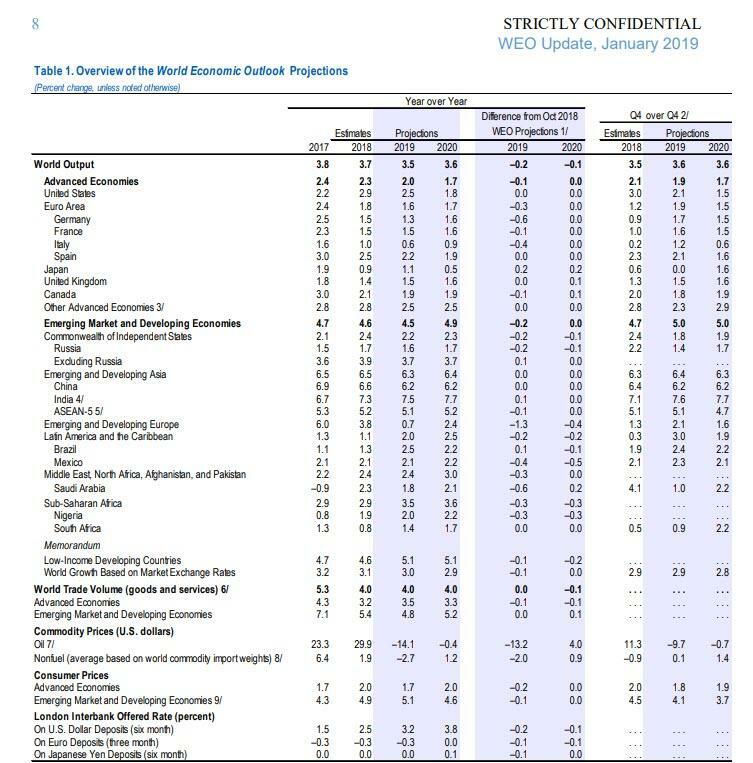 Just as it warned it would several days ago, as part of its latest quarterly economic outlook report the IMF just slashed its forecast for 2019 global GDP to just 3.5% from 3.7% as of October, its lowest forecast in three years, while warning that trade tensions pose further downside risks to global growth. 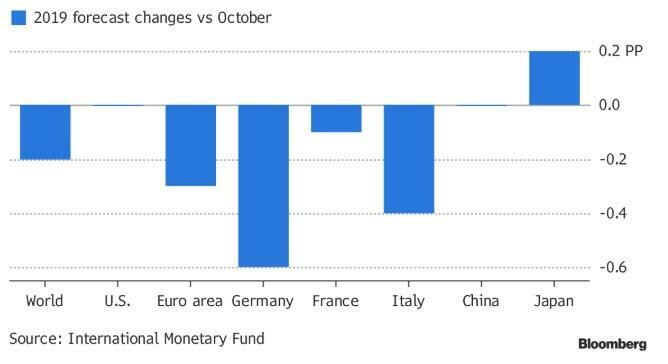 In its second growth downgrade in three months, the IMF blamed softening demand across Europe and recent stock market volatility, and while its US GDP forecast remained somewhat surprisingly unchange, still seeing a solid 2.5% in 2019 GDP growth, the IMF took a machete to its German GDP forecast, which the IMF now sees growth only 1.3% this year, down 30%, or 0.6% from its forecast last October. The Monetary Fund blamed soft consumer demand and weak factory production after the introduction of stricter emission standards for cars was behind the shift. 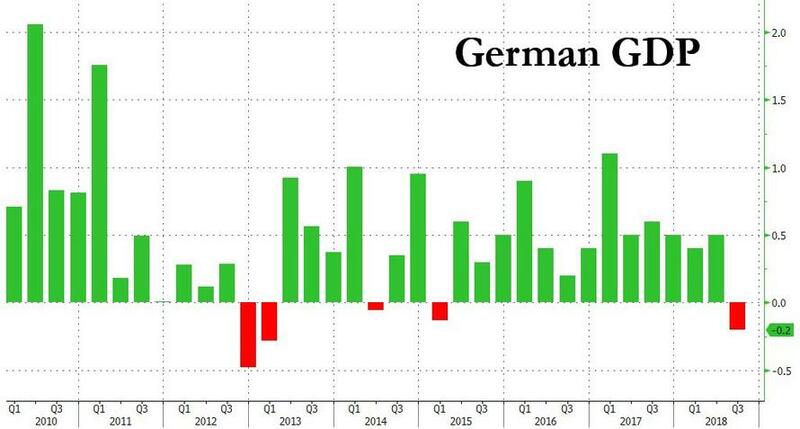 To be sure, recent German economic data has been disastrous, and confirmed the sharp slowdown in the economy, and it will be up to Q1 data to confirm or deny whether a German recession has arrived. ... the overall outlook was somewhat more upbeat than some had feared especially as many investors openly fear a U.S-led slowdown taking hold, the fund left its projections for the U.S. and China unchanged and even anticipates a pickup in worldwide expansion to 3.6 percent next year. Nonetheless, risks "tilt to the downside" said the IMF just hours after China revealed the slowest expansion since 2009 last quarter. It will set the tone for this week’s World Economic Forum meeting in Davos, Switzerland. "The global growth forecast for 2019 and 2020 had already been revised downward in the last WEO, partly because of the negative effects of tariff increases enacted in the United States and China earlier that year" the report said.